Peters & Freedman, L.L.P. 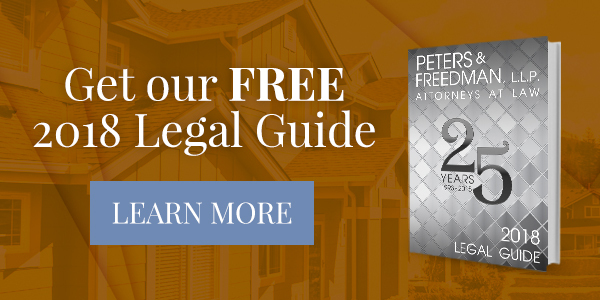 Is Growing in Orange County - Peters & Freedman, L.L.P. Our Orange County office is moving to a bigger space in Aliso Viejo. Peters & Freedman – 16 Journey – Bldg A in Aliso Viejo. Due to the tremendous industry support we have received and an increase in our Orange County clients, Peters & Freedman L.L.P. will be moving it’s Orange County office into a bigger space in Aliso Viejo. Effective September 1, 2015 we will be moving our Orange County office to 16 Journey – Bldg. A, Suite 200, Aliso Viejo, CA 92656. “This move is a direct result of the growth of our Orange County client base. Not only is this space centrally located for our clients, but we will be increasing our staff to continue to provide the personalized and responsive service for which our Firm is known,” said James R. McCormick, Jr., Partner at Peters & Freedman, L.L.P. The ability of our clients to utilize our conference room for board meetings. Easily accessible from Highway 5 and the 73 Toll Road. More parking to accommodate client meetings and educational seminars. For over 20 years, the attorneys at the Law Firm of Peters & Freedman, L.L.P. have been pioneers in the field of common interest developments, demonstrating a boundless passion and dedication to our clients. Peters & Freedman, L.L.P., represents associations in all practice areas, including complex litigation, developer transition, governing document drafting, review, analysis and enforcement, FHA and FEHA compliance, assessment recovery, architectural compliance, ADR and IDR, writs and appeals, and contract drafting and enforcement. With offices in San Diego County, Orange County and Riverside County, Peters & Freedman, L.L.P. offers its highly effective legal services to homeowners associations throughout Southern California.